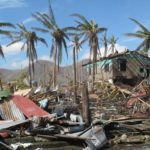 With wind speeds reaching 195 mph, Typhoon Haiyan killed at least 6,200 people and affected 11 million, leaving many homeless. It was the deadliest typhoon in the Philippines’ history, and the most powerful to make landfall anywhere ever. One of the primary difficulties of postdisaster investigations is the collection of highly perishable data: Watermarks may fade, damaged structures may be torn down or repaired, and solid wastes may be removed. 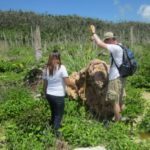 With this in mind, the project objective becomes to improve data analysis capability while minimizing logistical tasks for the field team, so that more time can be spent in data collection. Natural disasters bring out the very best in each of us, as the civil engineers are driven to serve and to aid those who are so devastated by these events. However, given the constraints of business commitments and hermetically tight project schedules, we are not always able to realize this drive. 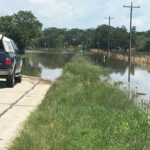 For those who are unable to travel in times of these catastrophes, but wish to aid the postdisaster effort, we offer the project site as a new model for ASCE major-disaster damage evaluation. The PHYSA site is a new open-forum project model for postdisaster inspection. We request and encourage all ASCE members to offer their expertise by participating in this web-based analysis. The website allows comments made that associate with specific reviewer, hence, credit for contributions can be made. The initial trajectory for data analysis will be to identify factors that exacerbated the magnitude of damage (e.g., faulty/insufficient construction, location) and additional measures that could mitigate future losses (e.g., revised construction techniques, materials, constructions of levies/sea walls). That said, we encourage a diverse and open dialogue, so feel free to allow your observations and thoughts to take the discussion where they may. We also welcome critiques on the investigation and the analysis technique. We will post the analysis progress on a separate website. You can also help by giving a gift to the Disaster Response Fund. ASCE is only able to send Disaster Response teams like the PHYSA field team because of philanthropic support from members like you. To ensure ASCE is ready to respond when called upon next, consider a gift to the Disaster Response Fund today. Thank you in advance for your participation and efforts to help the Filipino people. 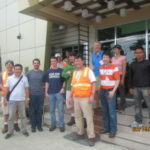 On Saturday, May 5, a team of 7 civil engineers from ASCE’s Technical Council on Forensic Engineering, in cooperation with the Technical Council on Wind Engineering, arrived in the Philippines on a week-long mission to conduct post-disaster assessments, documenting evidence of structural and geo-system damage to historic and residential structures and public infrastructure. Shenen Chen, Ph.D., P.E., M.ASCE, professor at the University of North Carolina–Charlotte, and chair of ASCE’s TCFE Committee on Forensic Investigations, who along with Mark E. Leeman, P.E., M.ASCE, vice president of Facility Engineering Associates of Fairfax, Virginia, chronicled the team’s experiences in this exclusive daily report for ASCE and wrote this postscript installment for the series.